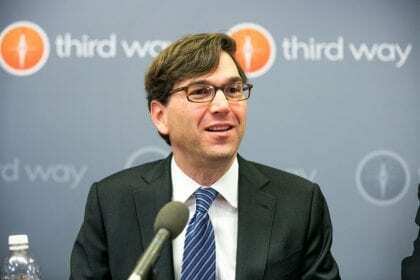 Jason Furman, President Obama’s top economics adviser, rejected the idea of a universal basic income in remarks made on Thursday, July 7, at a White House workshop on automation. The last of four workshops on automation co-hosted by the White House Office of Science and Technology Policy was held on Thursday, July 7 at New York University in New York City, New York. At this workshop, Jason Furman, an economist who has served as Chairman of President Obama’s Council of Economic Advisers since June 2013, present prepared remarks entitled “Is This Time Different? The Opportunities and Challenges of Artificial Intelligence“. Furman’s main message was that we should not fear the rise of artificial intelligence; on the contrary, we should do what we can to further the development of AI. On Furman’s view, we need more AI, not less. Although it was not his primary focus, Furman also spoke at some length about universal basic income (defined as “a regular, unconditional cash grant to every man, woman, and child in the United States”) — which he rejected as a viable solution to the economic worries posed by AI. Even with these changes, however, new technologies can increase inequality and potentially even poverty through changes in the distribution of wages. Nevertheless, replacing our current antipoverty programs with UBI would in any realistic design make the distribution of income worse, not better. Our tax and transfer system is largely targeted towards those in the lower half of the income distribution, which means that it works to reduce both poverty and income inequality. Replacing part or all of that system with a universal cash grant, which would go to all Americans regardless of income, would mean that relatively less of the system was targeted towards those at the bottom—increasing, not decreasing, income inequality. Unless one was willing to take in a much larger share of the economy in tax revenues than at present, it would be difficult both to provide a common amount to all individuals and to make sure that amount was sufficient to cover the needs of the poorest households. This is not the space to go into great detail on this, but suffice it to say that today’s system could be improved, and the President has proposed a number of improvements to social assistance programs (OMB 2016). But at the same time, a wave of recent research has found that many of the common criticism of these programs—for example, that they discourage work, or that they do little to reduce poverty—have been greatly overstated, and a number of programs—including nutritional assistance, Medicaid, and the Earned Income Tax Credit (EITC)—have important benefits for the long-run earnings, health and educational attainment of children who grow up in recipient households. Furman did not address the full range of pro-UBI arguments raised by Robin Chase and Martin Ford during a White House roundtable discussion held just two days earlier. Read Furman’s full report here. Joseph Lawler, “Obama adviser warns that robots could worsen inequality,” Washington Examiner, July 7, 2016. Jeffrey Sparshott, “Jason Furman Says New Technology Creates Challenges, But a Universal Income Isn’t the Solution,” The Wall Street Journal, July 7, 2016. Myles Udland, “Obama’s top economic adviser doesn’t like the idea of giving people money not to work,” Yahoo! Finance, July 7, 2016. Jason Furman argument is flawed because he see UBI as replacing the “current antipoverty programs”. Therefore he concludes that UBI would make the distribution of income worse, not better. UBI is intended to be a starting point for all human beings, not a safety net, rising them above poverty, something like a “Birthright Bond” which governments will purchase for all its citizens. The argument that UBI is too costly also seems flawed, since central banks can find money for “quantitative easing” but not for UBI. It’s so disappointing to me to read Democratic politicians and advisors just assume we couldn’t possibly raise taxes to fund something that might dramatically improve people’s well-being. It just shows how thoroughly anti-tax rhetoric has taken root in both major parties. Furman says more and better training would be a better way to deal with human obsolescence than UBI, but what would people live on while training if not UBI? Paying for UBI through a fee on fossil fuels as in carbon fee-and-dividend would reduce income inequality, because those at the top end of the economic pyramid use more fossil fuels than those at the bottom. How would keeping the current welfare systems – the ones that cut benefits if a person earns a bit of income or saves money – be better if all the archaic rules and laws about income and savings will still be in place? Under the current system SSI cuts one dollar for every two dollars earned, TANF cuts income dollar per dollar and food stamps (EBT) reduces benfits about one dollar for every two dollars of income earned. Also housing (HUD) raises a persons rent if they earn consistent income. The programs like LIHEAP, TAP, WIC, Commodoties, EITC which have eligibility based on a persons current yearly income can stay in place because if someone goes out and earns 50.00 or 100.00 they won’t get a cut in the benefit. Also SSI has prorata rent, inkind benefits counting as income, bans on receiving gift cards where food is sold whether or not the person buys food with the card, meal bans – if someone purchases or gives a meal to an SSI recipient more than once in a quarter (yes three months) their checks can be reduced one third = 266.00, savings capped at 2000 with an overpayment starting at 2051, If a person on SSI accidentally saves 2051 or more they are said to have an overpayment and owe the entire months benefit of 733 back to the SSA. These laws also apply to seniors receiving SSI, even a small amount to supplement their small Social Security checks. The laws are here: Google POMS SSI. A UBI also permits a worker to bargain on his wage as he is now urged to take whatever he is offered, because his very living is at stake. Social security prevents the labour force to become productive as it causes a poverty trap, but above all it brings the citizen in a precarious position that prevents him from becoming creative as a free man using his talents.